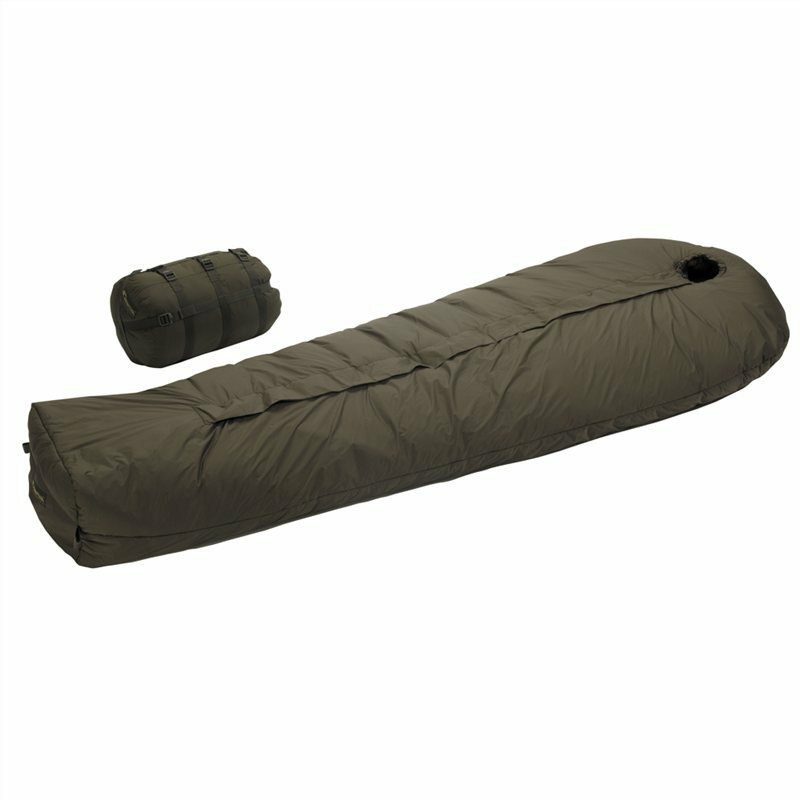 The Defence 6 this high performance winter sleeping bag is designed for uncompromising warmth retention in arctic conditions. It has a triple-layer sandwich construction with a loose fitting shell which guarantees optimum warmth. It has a generous draft tube on the inside of the zipper to prevent any heat loss at the zipper. Additionally, it has a protection flap on the outside to keep out wind and wet. Three G-LOFT Plus insulation layers are arranged in such a way that the quilting is offset. The shell is attached afterwards, creating a further layer of air between the quilted insulation and the shell. With no stitch perforations in the shell, it is relatively water and airtight. All carinthia military sleeping bags are equipped with a two way zipper. The glider on the top does not snag, allowing a quick step out if necessary (in case of alert for example). The glider on the down side does not stick and can be opened for ventilation.